Xiaomi is not just preparing a single version of its Mi6 for the public, because according to the latest leaked specifications, the Chinese smartphone maker is going in the same direction as that of Samsung with its Galaxy S8 and Galaxy S8 Plus. The specifications of both phones are downright impressive, but sticking to its price/performance ratio, it looks like these are going to be excellent contenders for the most affordable Android flagship smartphones of 2017. Judging from the names, we figured out at the Mi6 Plus is going to be the larger variant out of the two and therefore expected to come with even better hardware than the smaller version. According to the leaked specifications from Chinese microblogging website (via Slashleaks), Mi6 Plus is expected to feature a 5.7-inch FHD display. To keep the costs low as well to prevent the display from chewing up battery resources, Xiaomi had to make a tough call, but at the end of the day, it will only be beneficial for the customer because they will be able to enjoy more time on their devices while having them away from the charger. As a personal preference, even I like having a 1920 x 1080 resolution on a smartphone because anything beyond that is plain overkill. 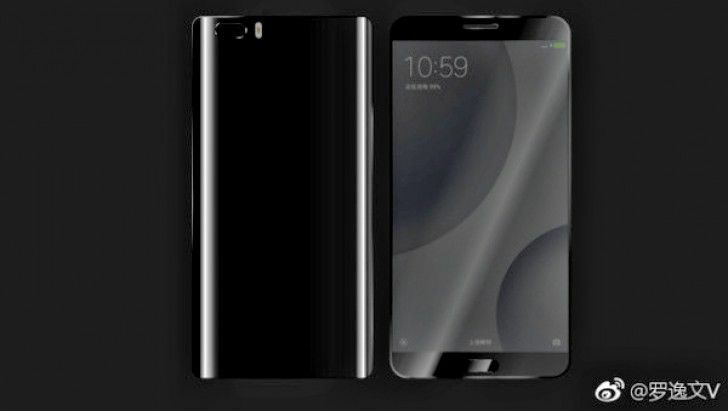 The regular Mi6 will have a 5.15-inch 1080p display and our guess is that both phones will have an IPS LCD display. The surprising thing is that both of these flagships have been listed as running a Snapdragon 835. You guys are probably familiar with Qualcomm’s difficulty with maintaining sufficient Snapdragon 835 shipments, so a rumor popped up saying that Snapdragon 821 SoC models are going to be rolled out first, followed by the ones touting the 10nm FinFET chipset. We still believe that this is going to be true, so we’ll be updating you regarding this info in the future. 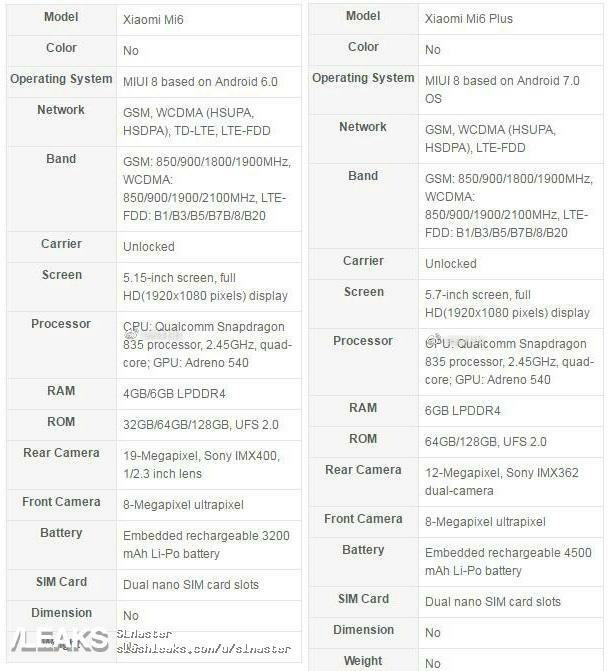 Since no Xiaomi flagship has been shipped with expandable storage, the story remains unchanged with these two phones. They come with ample internal memory, but the lack of storage expandability means that the user will have to be careful concerning which model to purchase.